Burger King is building a new location in Roseland. SEBASTIAN – Burger King will soon have a new location at the Riverwalk Shopping Center in Roseland, just outside the Sebastian city limits. 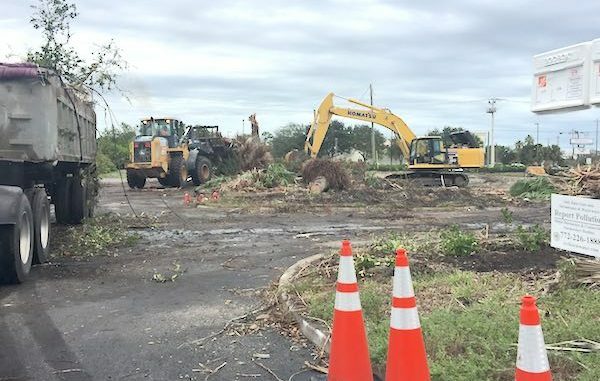 For several months, the project was a mystery, with Burger King Corp. denying the rumor of a new restaurant being built at the plaza at the corner Roseland Road and U.S. Highway 1. It was all quiet until someone at the county sent Sebastian Daily proof that the franchise owner submitted a construction permit to build a restaurant. The location is where the Bank of America was recently torn down. This block is very competitive for fast food chains, with McDonalds and Checkers on the corner. Burger King Corp. is still quiet about the project, ignoring questions on when the restaurant will open. But, we think it could happen in a few months.